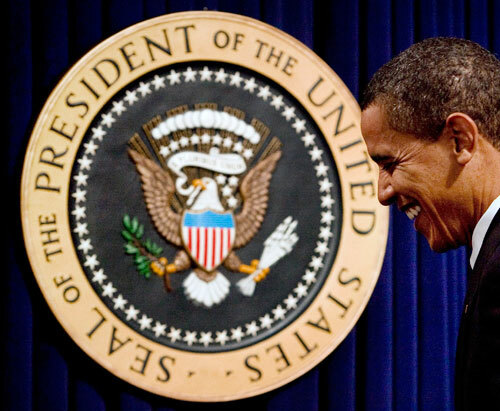 Images that capture the president’s challenges, successes, strengths and weaknesses during his first months in office. 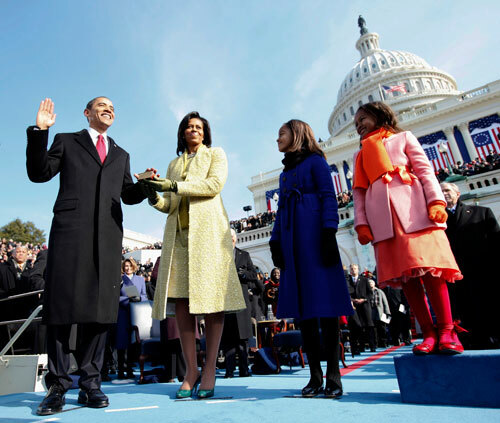 Barack Obama is sworn in as the forty-fourth president of the United States. The largest crowd ever on record attends the ceremony, and he begins his term with unprecedented high approval ratings. 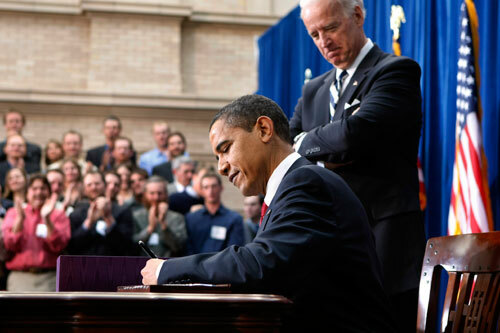 Obama hits the ground running with a series of executive orders, including a halt to all last-minute Bush-authorized regulations, comprehensive ethics rules to crack down on lobbyists, and expansion of the federal government’s transparency. 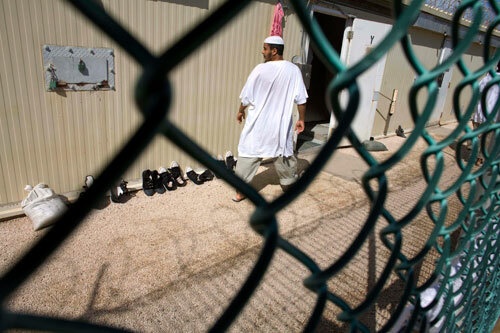 The most highly publicized early executive order calls for the closure of the infamous detention center at Guantánamo Bay by the end of 2009. Marcus Raskin and Joshua Frens-String suggest that the prison should be transformed into a health research center. 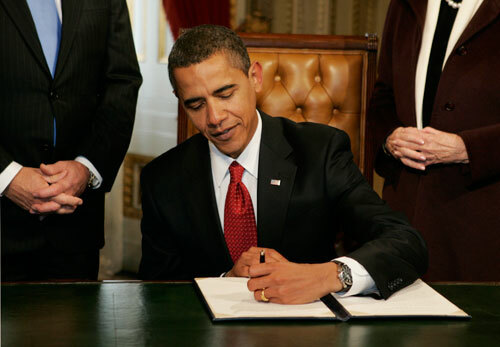 Obama makes good on campaign promises by signing off on the Lily Ledbetter Fair Pay Act, reversing the global gag rule and creating the White House Council on Women and Girls. 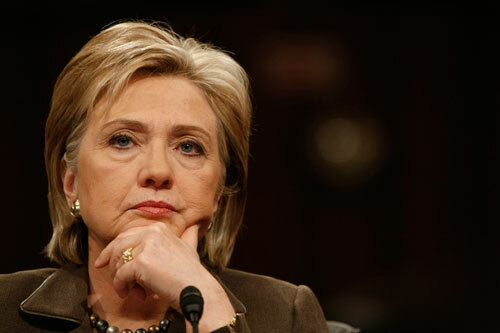 Hillary Clinton’s confirmation as Secretary of State goes surprisingly smoothly. The same can’t be said for Tom Daschle’s nomination for HHS secretary, which disintegrates because of tax troubles, or for filling the Commerce secretary position, which takes three tries to get right. Still, Obama fills his top-level cabinet positions faster than his two predecessors. 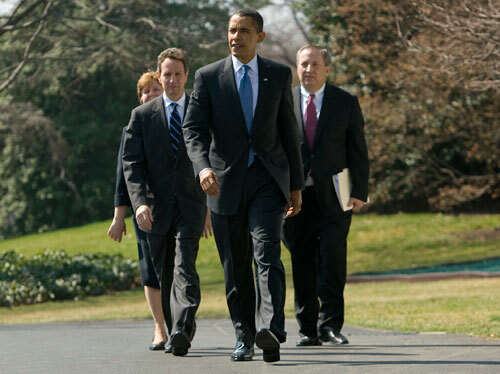 The most polarizing members of Obama’s team may well be Treasury Secretary Timothy Geithner and Director of the Economic Council Larry Summers. Both men are highly criticized for their Wall Street ties and roles in promoting deregulation during the Clinton years. 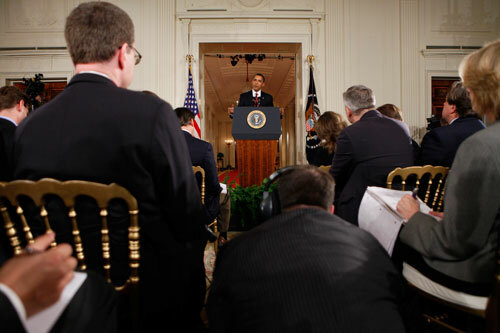 In a break with the inaccessibility of the Bush years, the president calls the first of two prime-time press conferences. He stands up for his proposed stimulus package and challenges his GOP opponents to come up with a bill that creates 4 million jobs. The stimulus bill (a k a The American Recovery and Reinvestment Act), largely made of tax cuts and job-creating infrastructure projects, is subject to intense fear-mongering from the right. 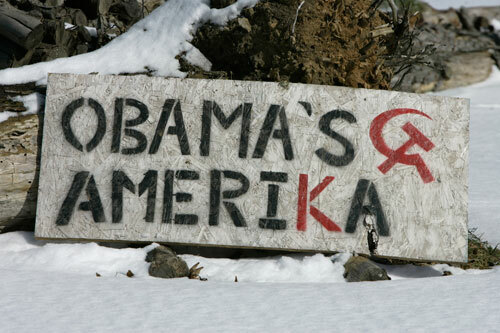 Obama’s plans are ridiculed as socialist, while Republicans succeed in stripping substantial funding from the legislation. Obama’s stimulus passes with only three Republican votes. The final result is decried as insufficient by the left and as excessive by the right. Robert Scheer writes that while flawed, the bill was far more than we could have expected out of any GOP administration. 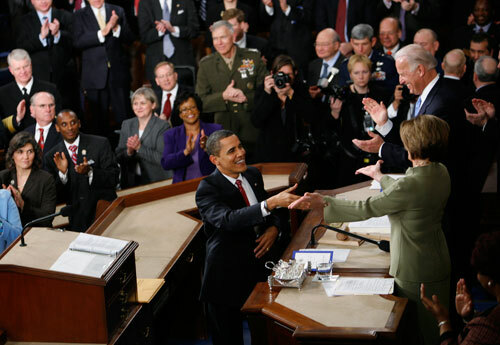 In a rousing speech before a joint session of Congress, Obama insists the struggling US economy will recover and shows no signs of backing down from his ambitious agenda for education, energy and healthcare reform. Robert Scheer loves the rhetoric but fears that it raises more questions than it answers. For progressives, one of the most encouraging initiatives out of the Obama White House is his proposed budget, which includes a “significant down payment” ($630 billion over ten years) on a plan for universal healthcare. 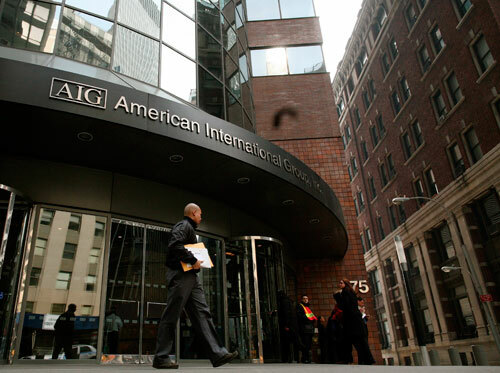 The first major controversy of Obama’s presidency erupts when Americans learn that execs directly responsible for the economic meltdown at the bailed-out insurance giant AIG were rewarded multimillion-dollar bonuses and the White House did nothing to stop it. 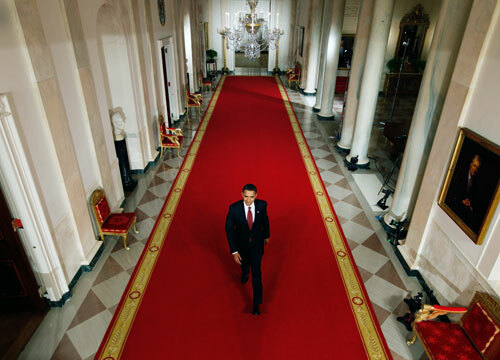 Obama criticizes the bonuses and promises reform, but many feel it’s too little too late. 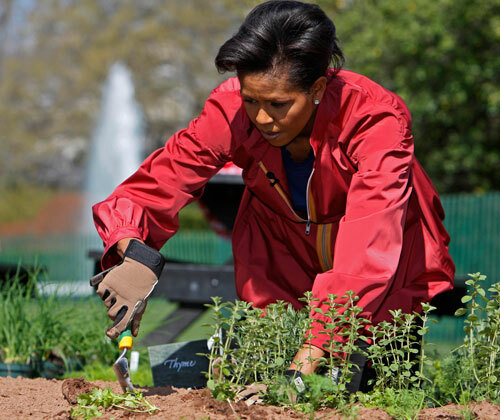 Michelle Obama plants a 1,100-square-foot organic vegetable garden on the south lawn of the White House. It is the first of its kind since Eleanor Roosevelt planted a “victory garden” during World War II. 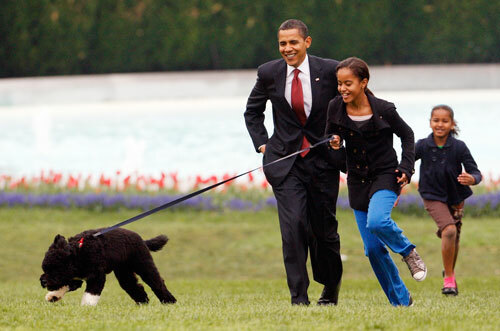 Environmental writer Mark Hertsgaard says that the first lady’s embrace of organic veggies could create a fresh-food boom. 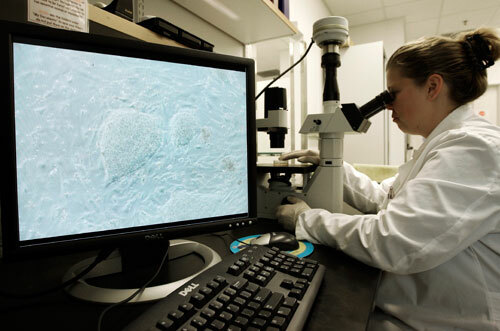 In a long-awaited move, Obama lifts the Bush-imposed ban on federal stem-cell research funding for the purpose of medical study. 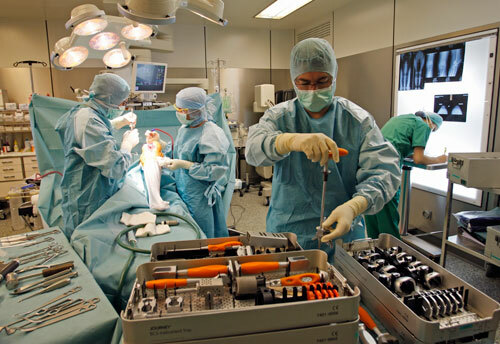 John Nichols applauds the move as a major victory for science and common sense. 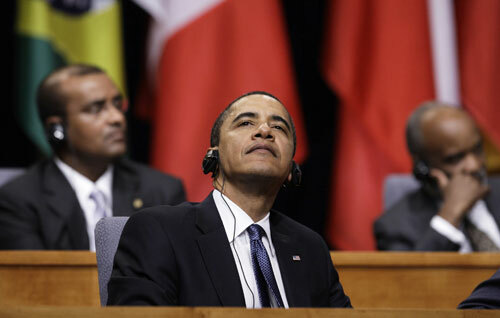 The second prime-time presidential press conference is largely deemed a bore. But the president’s online town hall meeting later that week solicits more lively questions and, according to Ari Melber, provides a glimpse of the future of political engagement. 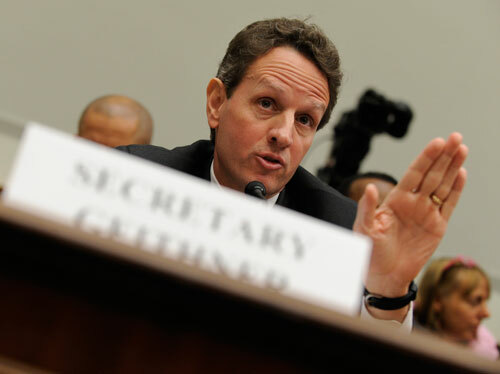 After months of stalling, Geithner finally unveils his “bank rescue” plan, which allows private investors to buy up toxic assets without fundamentally changing our current market system. It’s very well received by Wall Street, but critics on the left are so disappointed that they begin calling for his resignation. 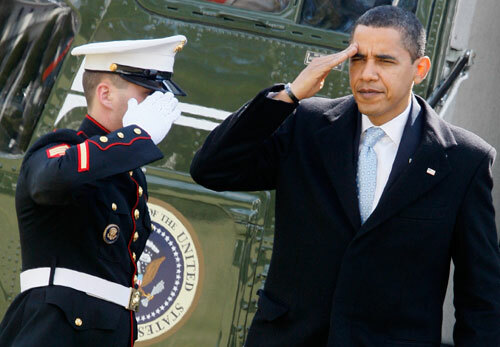 Obama reveals his strategies for a gradual US troop withdrawal from Iraq and for a buildup in Afghanistan. Robert Dreyfuss, long a critic of the president’s foreign policy, admits that the Afghan plan could have been worse, but adds that there needs to be more pressure on the president for a detailed exit strategy. 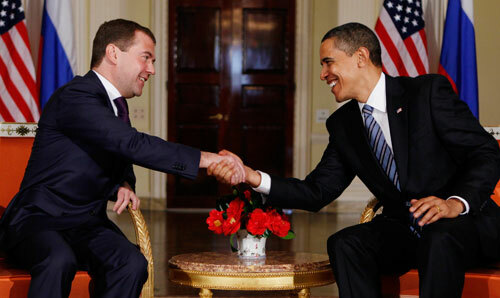 On his first international trip as president, Obama meets with Russia’s Dimitry Medvedev at the G-20 summit in London. The two leaders agree to launch negotiations for a new arms control treaty that could slash strategic nuclear arsenals by a third. 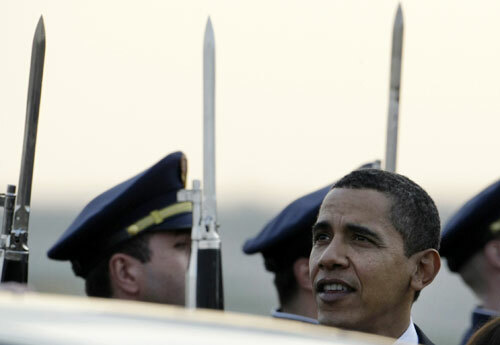 Still, Obama won’t commit to the goal of a world without nuclear weapons in his lifetime. 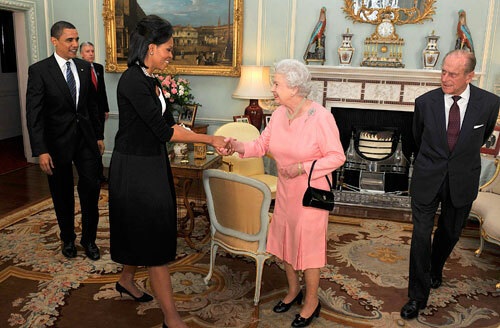 One of the biggest stories to emerge out of the G-20 summit is the enormous, growing popularity of Michelle Obama (pictured here greeting Queen Elizabeth). Her style and grace wows pundits and the public, although not all the press coverage is especially informative. 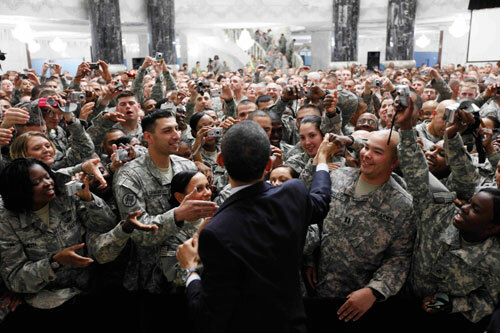 On the tail end of his trip abroad, Obama makes a surprise visit to US troops stationed in Camp Victory in Baghdad, Iraq. He thanks them for their sacrifice and pledges to turn Iraq over to the Iraqis. In a major address on the economy, the president says “we cannot rebuild this economy on the same pile of sand.” Katrina vanden Heuvel feels optimistic that Obama’s call for a new economy conveys his fundamental understanding of the challenges we face, but also thinks a massive mobilization of Americans is required to make his vision a reality. 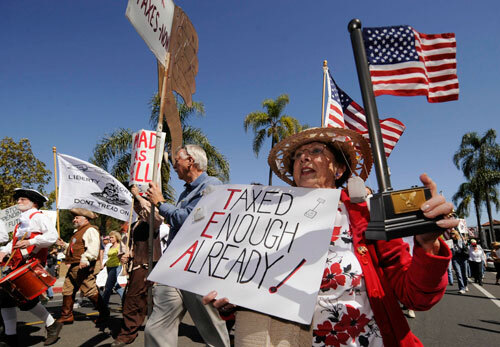 On income tax day, right wing-sponsored protests (“tea parties”) are held across the country to condemn the president’s economic agenda. Meanwhile, the Justice Department closes in on offshore tax cheats. Robert Scheer reports that former Senator Phil Gramm, their chief enabler, could be a target. 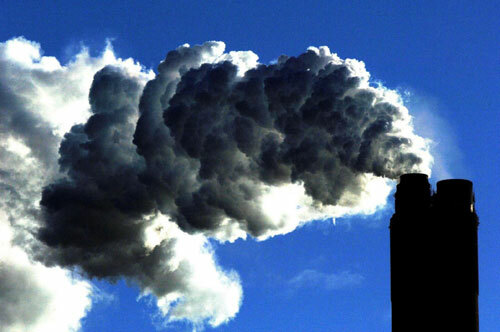 Obama’s green team comes through big-time when the EPA officially states that carbon dioxide and other greenhouse gas emissions pose a real threat to the health and safety of Americans and should be limited under the Clean Air Act. Now Congress must follow up with legislation to act on this recommendation. In a break with roughly fifty years of American foreign policy, the Obama administration lifts the travel and financial gift restrictions for Cuban-Americans with relatives in Cuba. This move opens up a dialogue with Cuban president Raúl Castro, and by the time the Summit of the Americas convenes, there is promising talk of a real thaw in the longstanding tensions between the two nations. 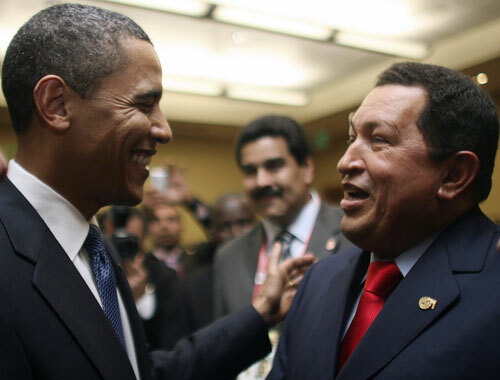 Also at the Summit of the Americas, Obama reaches out to controversial Venezuelan president Hugo Chávez and is warmly received. After nearly a decade of strained relations, Chávez declares a “new era” has begun and pledges to send an ambassador back to the US to begin re-establishing diplomatic relations. 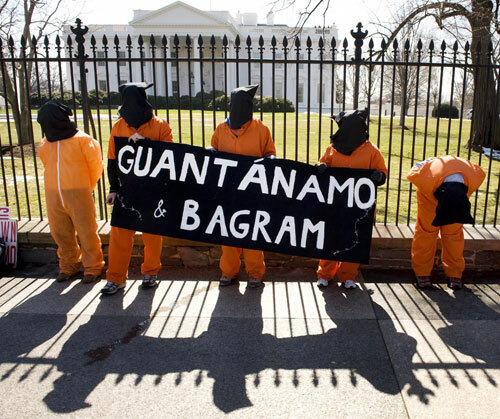 In response to pressure from the public, the president releases several Bush-era memos which reveal the horrific details of systematic torture inflicted on detainees by the CIA. While releasing the documents is hailed as an act of courage, Obama’s refusal to support prosecutions of the officials who authorized torture threatens to leave a black mark on his presidency. 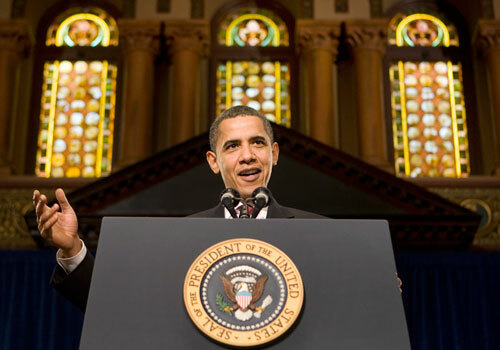 Questions remain about whether the president is adequately responding to the financial crisis. A scathing report by the Treasury Department’s inspector general says the TARP program is mismanaged and rife with potential fraud. 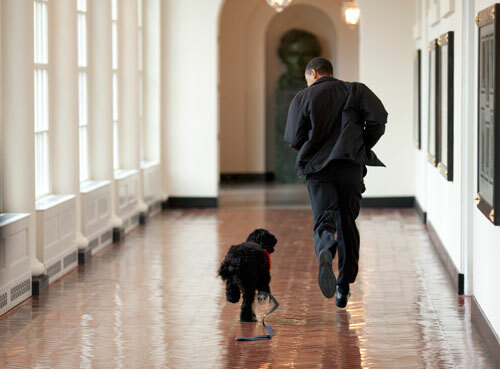 Meanwhile, William Greider wonders if Obama is tough enough to take on the big dogs on Wall Street. As Obama wraps up his first 100 days in office, there is both cautious optimism and some serious disappointment for many on the left. While the president has several political victories under his belt and remains personally popular, he has been far too reluctant to roll back Bush policies and has occasionally strayed from his more progressive campaign positions. It is up to both his ardent supporters and critics to engage, persuade and push this president to continue to deliver the change we need.